Food waste is bad for the environment, but it is also extremely expensive and becoming socially unacceptable. To tackle this issue across the entire supply chain, governments around the world are setting targets, implementing new policies, and creating campaigns aimed at reducing food waste. You’re probably aware that food waste is a serious global issue, that it affects our economy, our well-being and our environment. Approximately one third of all food produced gets wasted, costing the world $1 trillion each year. What you might not be aware of, however, is that there have been positive changes in recent years and that many governments are taking action to tackle the issue. Governments can enforce change and make all sectors operate to a minimum standard. This makes the war against food waste much easier to win. Here we’ve put together a detailed list of how governments around the world are encouraging food waste initiatives. Australia: Last year, Australia became the first country to set a target to reduce the amount of food waste it generates by 50% by 2030. The financial cost of food waste to the Australian economy is currently 20 billion dollars per year. To help achieve the country’s food waste target, the Australian Government decided to invest 1.2 million dollars over two years to support food rescue organisations. The decision is part of its Food Rescue Charities Program, which will support Second Bite, FareShare, OzHarvest, and Food Bank Australia. Norway: Following Australia’s lead, in June 2017 the Norwegian government and the country’s food industry signed an agreement to halve food waste. 350,000 tonnes of food end up in the bin every year in Norway. Food waste in the food supply chain works out at 68 kg per person per year. During an interview with a local news website, Vidar Helgesen, Minister of Climate and the Environment, restated the importance of government and industry leaders coming together to drive change: “I would like to challenge the food industry to be innovative and creative in the coming years. The food industry's actions will be the deciding factor in halving food waste by 2030”. France: Food waste is a costly issue in France. Each year 10 million tons of food are either lost or wasted in the country, costing the French 16 billion euros per year. The negative impact on the environment is also shocking. Food waste in France is responsible for the emission of 15.3 million tons of CO2, 3% of the country’s total CO2 emissions. Although these figures are concerning, the French government is determined to drive change. In the past five years it has created new laws and regulations to encourage food waste reduction. In 2012, it launched a new law forcing the private sector to recycle their organic waste if they produce more than 120 tons of it per year. This regulation has since been developed further. Recycling is now mandatory for all businesses, including those in the hospitality and foodservice industry, that produce at least ten tonnes of organic waste per year. In 2016, France became the first country to ban supermarkets from throwing away unsold food. Large supermarkets are no longer even allowed to throw away good quality food approaching its “best-before” date. Instead, they are forced to donate surplus food to charities and food banks. Italy: It is estimated that Italy wastes about 5.1m tonnes of food a year. Six months after the French law banning supermarkets from throwing away edible food was passed, the country launched a similar regulation. Unlike the French law, which penalises supermarkets that fail to comply with the rules, the Italian law focused on making it easier for companies to donate unsold food. The initiative should help Italy recover one million tonnes of food a year. The law has essentially relaxed regulations that had made it difficult to donate. It has clarified, for example, that food can be donated even if it is past its sell-by date. Costa Cruises – the Italian cruise line that is part of Carnival Corporation & plc, the world’s largest cruise company - has taken advantage of this law. 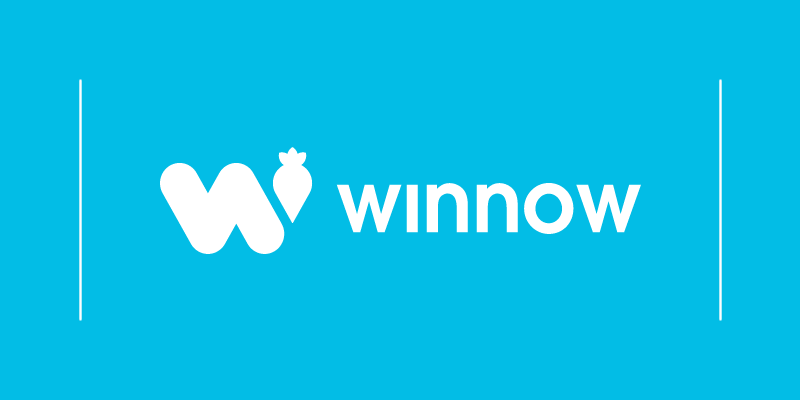 The cruise line is now working with Winnow to prevent food waste while donating excess meals to those in need. Costa has cemented its role as a leading company in the sustainability field. It became the first cruise line to make a public food waste reduction target, committing to halving food waste by 2020 as part of its “4GOODFOOD” program. Denmark: Denmark is a pioneer in joining the fight against food waste. In 2016, the Danish minister for food, Esben Lunde Larsen, launched a subsidy scheme to combat the issue. This scheme distributed almost USD 750,000 to projects trying to tackle waste throughout the food chain. This was a significant commitment, but the initiative wasn't the first drive to reduce food waste. The ministry had already conducted campaigns to educate consumers about best-before and use-by labels. In Denmark, it is legal to sell date-expired food so long as it is clearly labelled and shows no sign of health risk. Mr Larsen has also supported collaboration between food producers and kitchens to ensure that “wonky vegetables”, which would otherwise be rejected, are used. Dubai: Food waste costs Dubai the equivalent of $4 billion every year. 2.7 kg of food is being wasted per person every day. To start changing these figures, the Dubai Municipality signed a Memorandum of Understanding (MoU) with Winnow to encourage the use of technology to reduce food waste across the hospitality sector in the UAE. 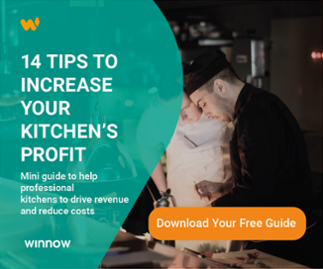 Winnow’s technology has been helping large hotels in the UAE save more than $887,000 per year in food costs. This reduction has translated into a saving of an estimated 213 tonnes of food from landfill, the equivalent of more than 1,000 meals saved per day in Dubai. South Korea: South Korea has proved that government policies can make a huge difference. Once among Asia’s biggest food wasters, South Korea has managed to reduce food waste by amounts that most other parts of the world can only dream of accomplishing at the moment. In Seoul alone the volume of waste has decreased by 10% (more than 300 tonnes per day) in comparison to four years ago. The results started to appear in 2013 when a new policy was implemented in Seoul that made households pay for recycling according to how much food they throw out. This policy has now been rolled out in 16 additional Korean cities. At Winnow, we see food waste as a major issue and we are on a mission to reduce it on a global level. We are now present in more than 25 countries, and we are trusted by some of the world`s most respected brands. It is extremely positive to see food waste moving up the agendas of governments across the world. We encourage world leaders to focus on preventing food waste to benefit both their national economies and the global environment.